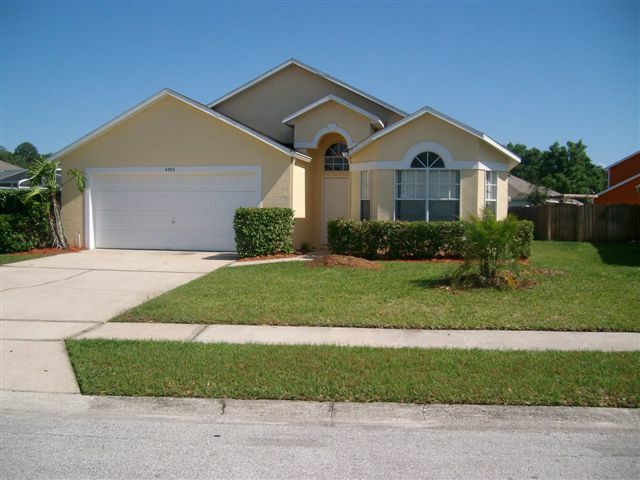 Front view of our holiday villa in Kissimmee. A great place to stay during vacation time in Orlando. Gracias por sus servicios y todo estuvo de maravilla no tengo ninguna queja todo fue estupendo cuando vuelva les pido sus servicios gracias. Von Anfang an bestens betreut, sei es mit kleinen Tipps rund um Florida, was Ausflüge betrifft, als auch in der Abwicklung. Jederzeit und bestimmt wieder über Florida Best Villas !!! Vielen Dank für alles! La casa en términos generales muy buena, aunque debería haber encontrado por lo menos agua en el refrigerador1!!! La limpieza muy buena y la casa acogedora!!! Gracias!!! Es war alles super und hat alles bestens geklappt.Wie es zur Zeit aussieht werden wir wohl nächstes Jahr wieder kommen.Es hat allen gefallen. Das Foto von der Liege kann ich Dir erst schicken wenn ich einen anderen Computer habe. The house was clean and very well maintained. It truly made our first villa renting experince a great one. One we plan to enjoy every year. You do need better info on recycling. This is the only reason we may look elsewhere. The experience was excellent! Very quiet place, very close to restaurants, markets and some very good outlet stores. The house was exact as described on site and everything works really fine. The house manager only contact me on last day, 30 minutes before I get out the house, that was the reason I give grade 6 to this item. Thank you very much for your attention during our stay, although the garbage disposal did not work but we had the response that it would be repaired after our departure.